Download G386FXWUANG1 Android 4.4.2 KitKat, the latest firmware for SM-G386F that rolled out in 07-Aug-2014. 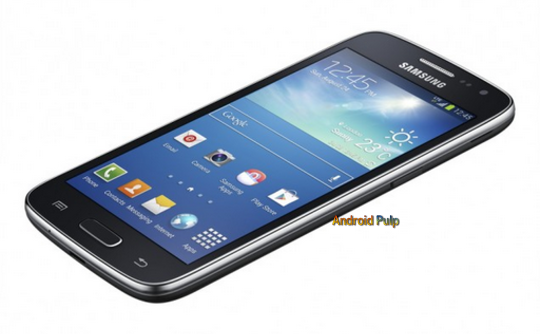 G386FXWUANG1 firmware for Galaxy Core LTE G386F rolled out in various countries recently including France. Apart from usual via KIES and via OTA update, you can also flash or install XWUANG1 Android 4.4.2 KitKat on Galaxy Core LTE G386F manually. Since the device comes with Android 4.4.2 KitKat out of the box, this is just a normal firmware update that fix some bugs, enhance security and may introduce some new features. Read through this step-by-step guide to learn how to install official stock G386FXWUANG1 Android 4.4.2 KitKat firmware on Galaxy Core LTE SM-G386F. I tried to discuss every possible ways to flash this firmware on your device. Please note, you can't flash below given file using CWM recovery or TWRP recovery, also note installing official firmware restore kernel hence your root access will be void, in other word - your device will be unrooted. As said already G386FXWUANG1 Android 4.4.2 KitKat stock firmware available on both OTA and Kies update. In case, if you can’t get the update from there then you can always install G386FXWUANG1 Android 4.4.2 KitKat firmware on Galaxy Core LTE SM-G386F manually. You should always try OTA or Kies method first and when both method don’t work then only try manual flashing. Warning: This tutorial is only for Galaxy Core LTE SM-G386F. Don’t try this guide on any other Android device. Also, we (Android Pulp Team) are not responsible for any damage caused due to the instruction given in this page. Try this at your own risk. However, it is very unlikely that your device will be damaged if you follow all the instructions as it is which are mentioned in procedure. 1. If you installing this firmware over official firmware then you don't need to backup anything (though recommended) since the new firmware will restore everything from previous firmware. However, if you flash it over any custom ROM then you must backup the data.You can follow our ultimate backup guide. 5. Manual update will be done using a tool called Odin which support Windows system only. A stable internet connection (Wi-Fi or data network) is required, so check it first. A stable internet connection is required, so check it first. Again! If you see “This is the latest firmware” in Samsung Kies, then your device yet to receive this latest update on Kies. Its good time to go for manual update instruction that located below. * G386FXWUANG1 Stock Firmware List Updated On August 07, 2014. Extract the downloaded firmware zip in a convenient location of your PC, you will get a .tar.md5 file and some other files (optional). Don't extract the file twice, else you will end up with some unflashable file. Now, put the Galaxy Core LTE SM-G386F in Download Mode by pressing and holding down the Home & Volume Down button together while pressing the Power button. A warning screen will come up; press Volume Up button to enter Download Mode. Now run Odin3 v3.09.exe (see Step 3) as an Administrator because Admin privileges is required to complete the process smoothly (only applicable Windows Vista and higher). Click the AP Button, and select that .tar.md5 file that you get in Step 2. If you are using old Odin then add the file to PDA button. Once flashing completed, your Galaxy Core LTE SM-G386F will restart and soon you will see a PASS message with green background in the left-most box at the very top of the Odin. You can now unplug the USB cable to disconnect your device from computer. Congrats! You just updated your Galaxy Core LTE SM-G386F to G386FXWUANG1 Android 4.4.2 KitKat firmware. Go to Settings > About device to verify this firmware update. Boot into recovery mode. To do so, press and hold the Volume Up, Home and Power buttons together. Now perform Wipe data/Factory Reset and Wipe Cache Partition task before selecting reboot system now function. In recovery mode use Volume keys to navigate between options and Power button to select a option. You should know, performing wiping task will erase your device internal memory data and not external SD card data.